There are a few bloggers that I KNOW I’d be friends with in real life. Madison is one of them. You can tell from her blog that she is a sweetheart. I love going to her blog for delicious recipes like sweet potato veggie burgers, oatmeal chocolate chip cookie dough truffles and pear almond butter muffins, but I also love reading about her life and her engagement/wedding planning! I was so happy when she offered to do a guest post and she did not disappoint. Her cookie sandwiches look amazing and I can’t wait to try them myself. Hi there, Keep It Sweet readers! I’m Madison from Espresso and Cream. When Lauren was looking for a guest blogger, I jumped at the chance to get in the kitchen and bake up something sweet to share. Initially, I had planned to post a recipe for pesto, but then I remembered who I was talking to. Keep It Sweet readers can handle their sugary desserts, right? Growing up, I learned to cook from my mom and our huge set of Southern Living magazine cookbooks. 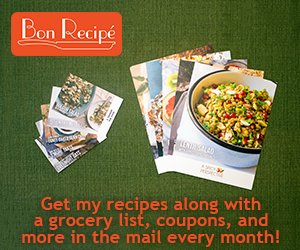 These cookbooks remain some of my favorites and my go-to resource when I need a recipe I can rely on. During high school I spent years trying to find ‘my’ chocolate chip cookie recipe. For some reason or another, it seemed critical that I have a recipe that others would rave about. I think it had more to do with boys than cookies, but that’s another story. Junior year I hit the jackpot while browsing The All-New Ultimate Southern Living Cookbook. For goodness sake, the name of the cookie that caught my eye was The Ultimate Chocolate Chip Cookie. Sign me up. Of course, I made a few small tweaks to really customize it, and when I’m feeling crazy (or guilty) I make them with dark chocolate chips and whole wheat flour. But the real magic moment comes when you combine two of these babies with a dollop of sweetened freshly whipped cream. Crunchy, chewy, creamy and most certainly sweet, these cookie sandwiches are the perfect mix of flavors and textures. Although they are most certainly a down-home dessert, don’t hesitate to serve them for any occasion. There is a time and place for a fancy dessert but there’s always time for a chocolate chip cookie sandwich. Preheat oven to 350Â°F. With an electric mixer, beat butter and sugars at medium speed until creamy. Add eggs, one at a time, beating until just combined. In a second bowl, stir together flour, salt and baking soda. Add dry ingredients to wet ingredients, beating until just combined. Stir in chocolate chips. Drop by heaping tablespoons onto an ungreased baking sheet. Bake for 10 to 12 minutes, or until slightly browned on the edges and soft in the center. Remove to wire racks to cool completely. Meanwhile, with an electric mixer, beat heavy cream and vanilla until stiff and thickened. Beat in powdered sugar. Spread some of the whipped cream mixture onto one cookie. Top with a second cookie. Serve immediately. Are there any bloggers that you would be real life friends with? These bring out the little kid in me… who wouldn’t love them?!?! Oh, those look so. good. I adore chocolate chip cookies any way I can get ’em! Great guest post, Madison. :) I would be friends with so many food bloggers that I follow, we seem to be such a nice set of folks and we definitely have something to bond over–food! Great guest post! these remind me of those oatmeal marshmallow sandwiches..but way better because they have chocolate. Yum! These look spectacular! Beautiful photos too! These are so cute! I love cookie sandwiches! The combination of chocolate chip cookies and whipped cream sounds heavenly! Yes – I feel like there are some bloggers who I would hit it off with in real life! Who knows if I’ll ever have the chance. In the meantime, pass me those cookies!! Yum. Those look amazing-thanks for sharing! I love the name alone, but I know I could woof down at least 10 of these, yummy!! Oh my. That looks delicious. Oh my goodness! These look fabulous. I want one right now! These cookies look delicious! I especially love the cream filling too! Was just over at Madison’s blog – it is awesome! These cookie sandwiches look so good. These are so cute! Love the name! These look so good! They remind me of that old cool whip commercial when somebody would dunk their cookie in the cool whip all sassy-like. But I know these would be way better than that! haha i know, so creative! These look awesome!! I’m not a big whipped cream fan, but if it’s homemade AND sandwiched between 2 cookies, I’m in. These cookies are so cute I love the name! Mmmmn! These look so yummy! This is too dangerous for me to make. . .looks soo good. Normally I am not big on the cookie sandwich – but these look great! The cookie looks like its still soft and chewy and middle looks light and airy. I want one!